Grant Leadbitter has arrived and Bryan Oviedo potentially on his way out! Both take the spotlight in today's WAWFP article. Want to join our panel? No experience necessary, just click here or send us a message on Twitter or Facebook. Do you think Leadbitter is the sort of player we need right now? Straight off the bat, what does Leadbitter add? Well, our panel was united in thinking that he is a very good signing and a player that can bring that little bit more to a midfield which has been lacking of late. Frankly he is, at worst, a top half Championship player - which makes him potentially one of the best League One midfielders. Use our poll at the end of this article to have your say too. Would you start him? And, if so, who else would make up your midfield two or three? This did split our panel, with all of our first team midfielders mentioned. 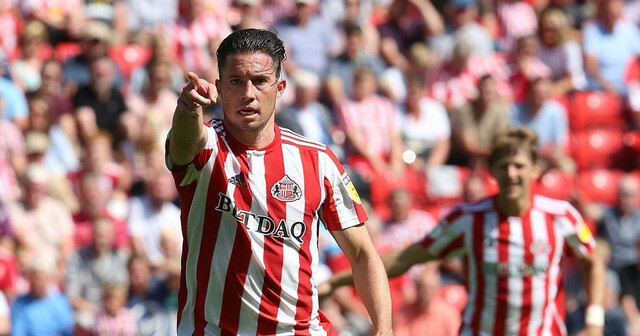 Adding Leadbitter to a midfield that includes either George Honeyman or Luke O'Nien would be midfield capable of imposing themselves on any team in this league. Getting the balance right there will lead to more goals scored, perhaps some of those all so rare clean sheets and - maybe - the promotion we are all clamming for. What do you make of Bryan Oviedo's rumoured exit? Good pro, time to go - that sums up what our panel think and pretty much everything I've read on this story. Thanks again to our knowledgeable fan panel for contributing once more, plenty more to come from them during the rest of this season! If you want to join, just click here or send us a message on Twitter or Facebook. What do you think of Grant Leadbitter signing?